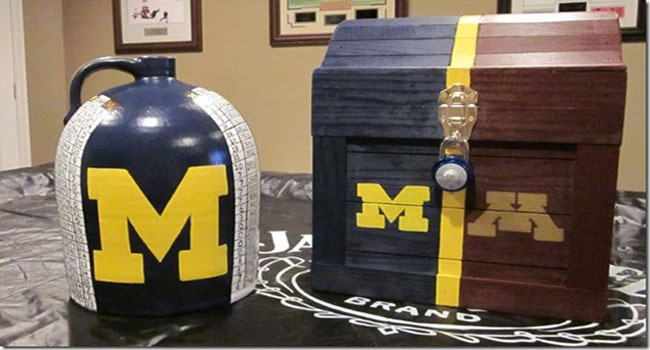 Struggling Michigan hosts Minnesota in the battle for the Little Brown Jug. Minnesota (+8) at Michigan (O/U 43) – The Little Brown Jug has taken up a pretty much permanent spot in the Michigan trophy case but if there were any year for the Gophers to get it back this might be it. The Wolverines are struggling offensively and Brady Hoke’s job is less than secure at the moment. One of two things is going to happen on Saturday; the Wolverines will rally around Hoke and play well or the status quo will exist. The Gophers three wins are unimpressive and their lone loss was a beat-down at the hands of TCU. Trends: Michigan has beaten Minnesota in nine of the last ten games they’ve played… The Gophers are 2-4 against the spread in their six games at Michigan… The Wolverines are 8-1 straight up in their last nine games at home against Minnesota… The total has gone UNDER in seven of the Gophers’ last eight games. The Pick: I think Michigan finds a way to win but take the Gophers and the points. Take the UNDER as well. Bret Bielema brings his Razorbacks to College Station where the Aggies await. Arkansas (+10) at Texas A&M (O/U 72) – The Razorbacks are averaging 324 yards rushing per game and that’s been an Achilles’ heel for the Aggies in recent years. Since losing their opener at Auburn, the Hogs have ripped off three straight wins. The big question is whether or not Arkansas can slow down Kenny Hill and the Aggies offensive attack. Bret Bielema will look to get his team running the ball to keep Hill off the field because he knows this offense will be much more talented than Texas Tech whom the Hogs defeated. Trends: The Aggies are averaging almost 52 points per game in their last two contests against the Hogs… The total has gone OVER in all five of Arkansas’ most recent games… A&M is 1-4 against the spread in their last five games against the Razorbacks… Arkansas is 3-10 straight up in their last 13 games. The Pick: Take the Aggies to cover and take the OVER. Stanford (-8) at Washington (O/U 47.5) – Last week, Washington hosted Georgia Southern and trailed 14-0 at halftime. They ended up winning 45-14. Perhaps the 4-0 Huskies needed a wake-up call? The Cardinal come to Seattle at 2-1 and have a road trip to South Bend next week that they cannot afford to look ahead. This game will likely be decided by the Cardinal defense which has given up just ten points in three games. The Pick: I like UW getting the points and I like the OVER. Trends: The last time Stanford played at Washington they lost 17-13… The Huskies are 1-4 against the spread in their last five games at home against the Cardinal… The total has gone UNDER in four of Stanford’s last five games at Washington… The Huskies are 2-5 ATS in their last seven home games. Florida State (-19) at North Carolina State (O/U 58.5) – Upset alert in Raleigh? The Seminoles have lost two straight at Carter-Finley Stadium. They get Jameis Winston back from suspension and are coming off an overtime win over Clemson. The Wolfpack are unbeaten but haven’t exactly beaten anyone worth mentioning. Still, I believe this has the makings of a challenge for the ‘Noles. Trends: Florida State is just 6-4 straight up in their last ten games against the Wolfpack… NC State is just 1-6 against the spread in their last seven games at home… The Seminoles are 1-5 ATS in their last six games at NC State… The total has gone UNDER in five of NCSU’s last six games at home against Florida State. The Pick: Love NC State getting the points and take the UNDER.